A site refresh for Redstone Plumbing and Heating and time to go mobile friendly. 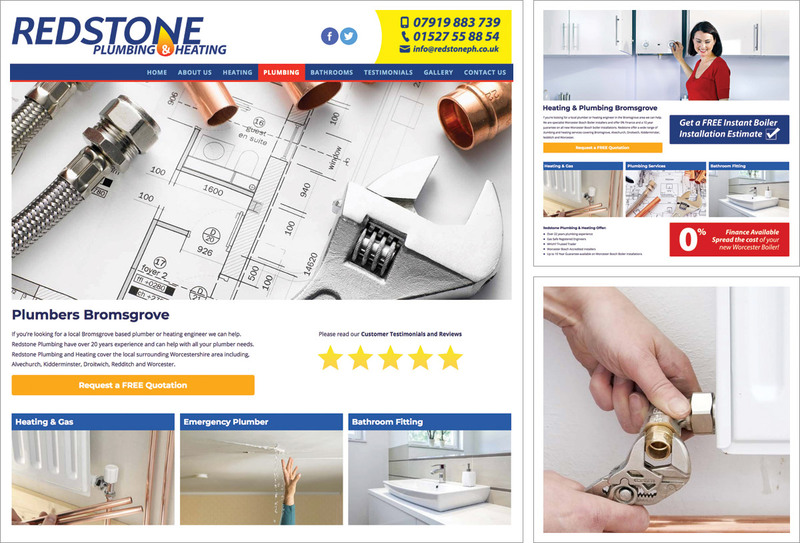 Redstone took the opportunity to review their website content thoroughly and re-organise it making their key services more prominent on the homepage. A new widescreen layout gives the website an uncluttered feel and the responsive framework means the website is more easily navigated from a mobile or tablet. Dynamic content on the homepage in the form of a changing image banner. We carried out a full SEO review to make sure we’re targeting the correct terms and keywords with our on-page optimisation. The website is on-message, retains the Redstone brand identity and business logo and re-inforces their strong relationship with boiler manufacturer Worcester Bosch as one of their accredited installers. Redstone continue to offer a 10 Year Worcester Bosch Boiler Warranty and 0% Finance offers..